Whenever brown hair is mentioned, some people may think that it is boring because brown hair seems so safe. It seems different from all the other hair colors that are available. In order to dress up brown hair, the best thing to do is to get red highlights. 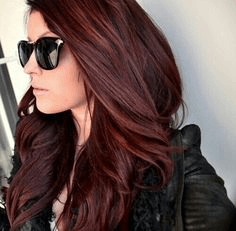 This will surely help make the hair even better than before.This article show you 60 brilliant brown hair with red highlights. 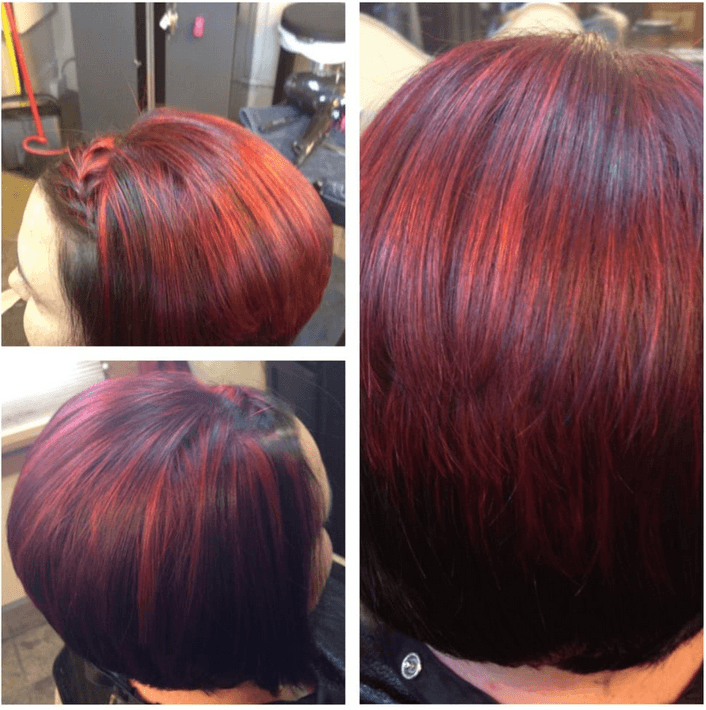 When it comes to red highlights, do not assume automatically that you will know how the red highlights look like because when you think about it, there are different shades of red that can be placed on the head. These shades of red will also look perfect with other shades of brown. If you have brown hair and you need a change, considering to have red highlights can make a huge difference with your hair. 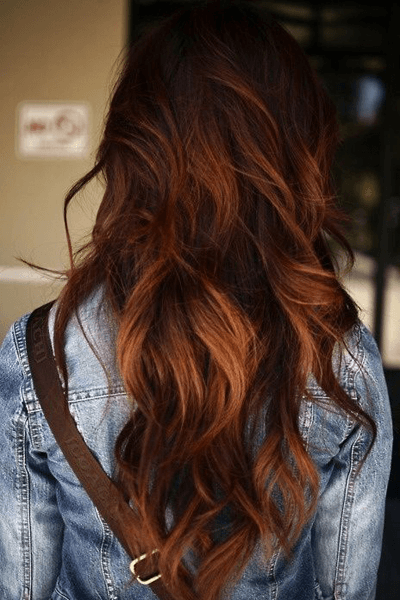 If you have brown colored hair and you would like to make a change, you can add a few bits of copper to your hair and you can expect that your hair will manage to look like the sun. 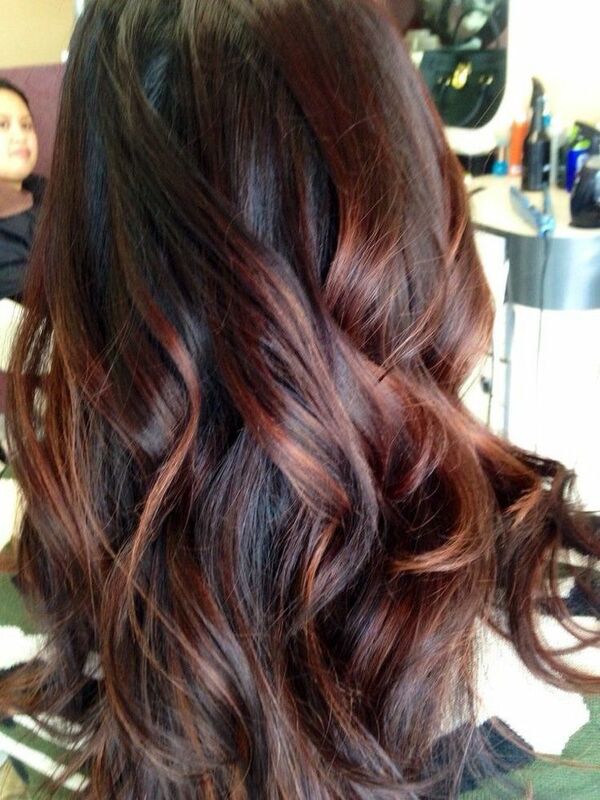 The fiery shades of red may not be too evident but with your brown hair, it can create a huge difference. 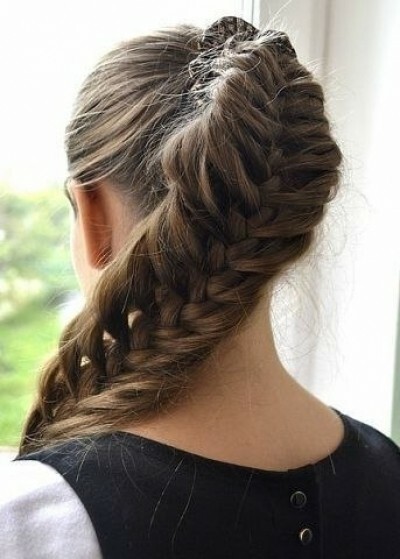 This is one great hairstyle that will look perfect no matter what time of the day it is. 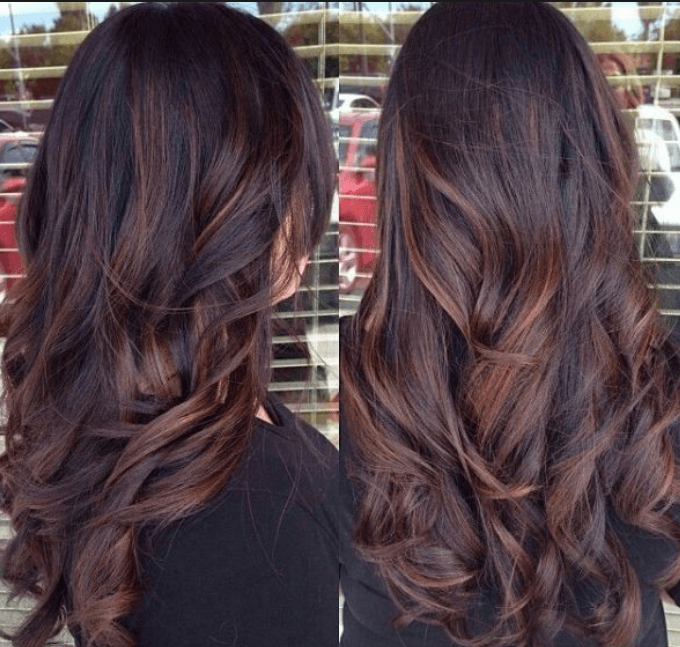 When you have chocolate brown hair, you can already expect that your hair can be considered boring unless you do something to it so that it will be changed. 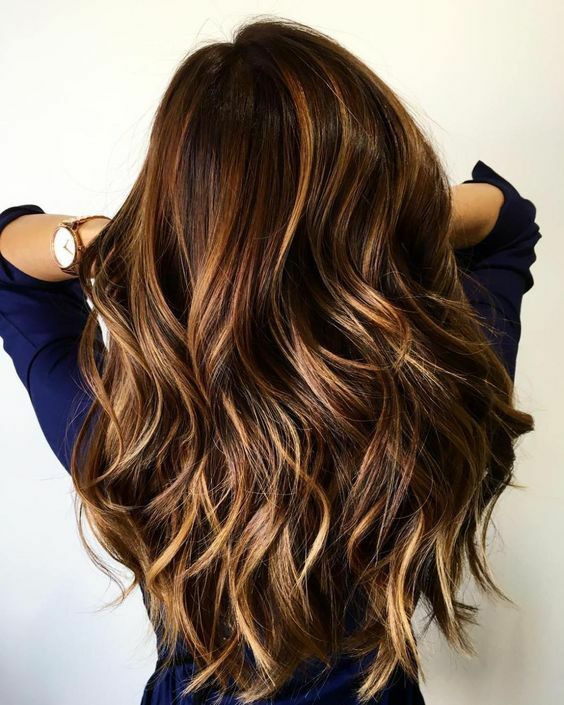 Making sure that you will add some reddish caramel highlights on some portions of your hair can change the whole look entirely because every time the sun hits the hair in a right manner, some portions of the hair will seem to shine. No matter what shade of brown your natural hair color is you know that it will not be boring anymore the moment that you place some mahogany red streaks on certain portions of your hair. Just imagine how fresh and fun your hair would look like this way. This can be perfect if your hair is a bit curly although this can also work for women with straight hair. 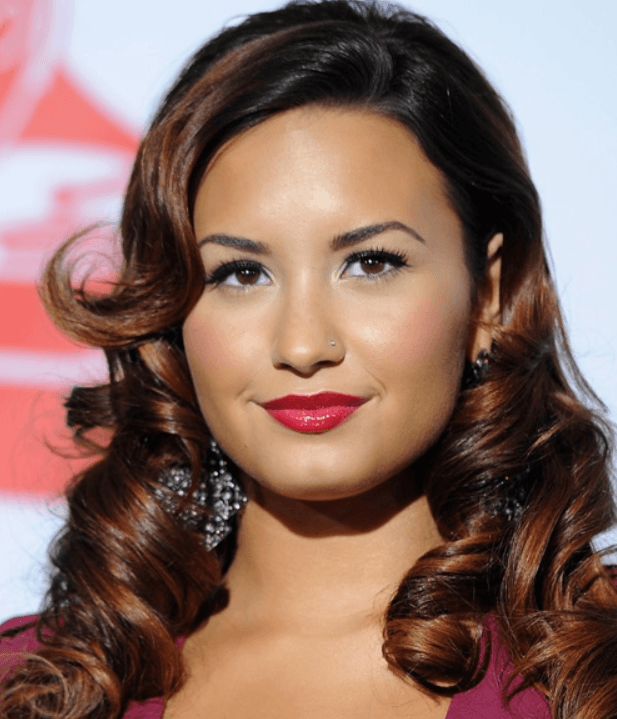 This hair color can be perfect for women with light to medium skin tones. 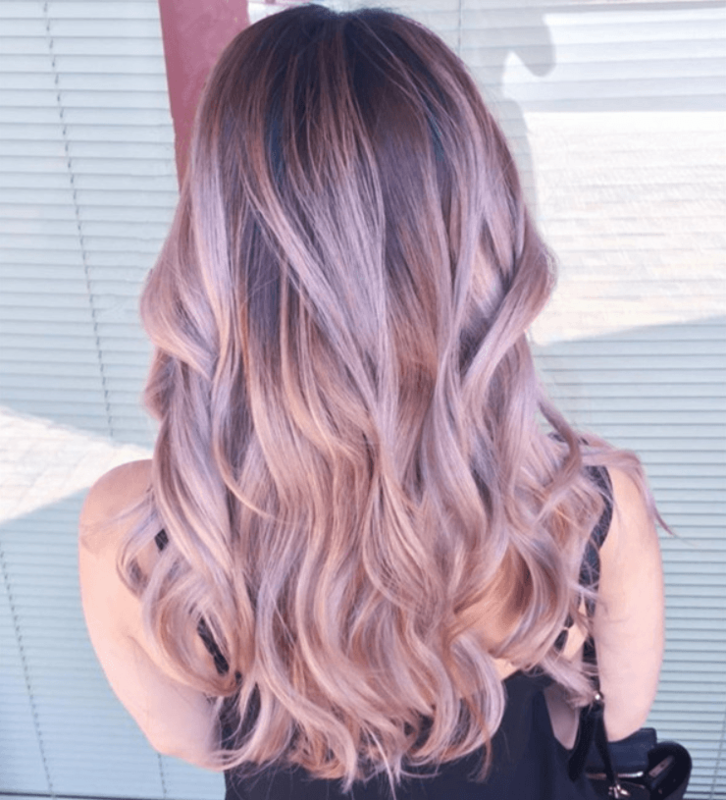 You may think that the ombre trend is not really that popular anymore but if you are not one to follow trends anyway, why should you care? 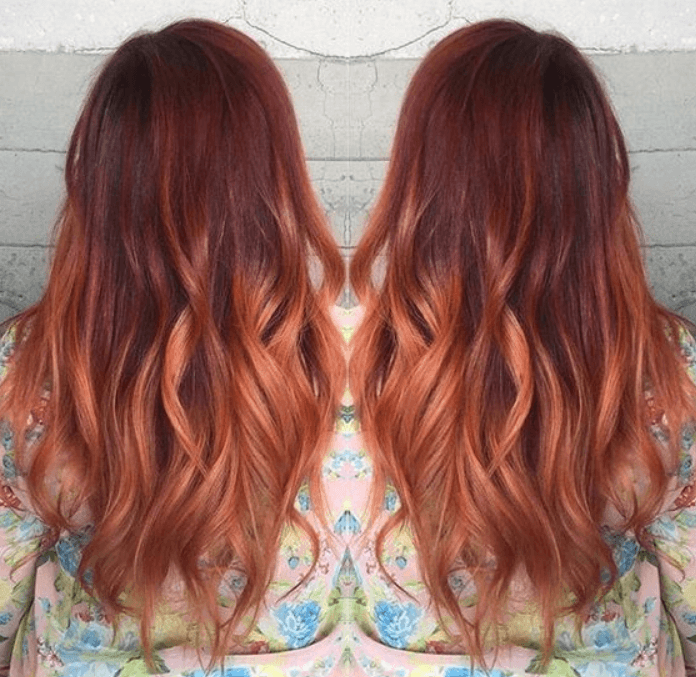 If you are not into drastically changing your hair color just to look different, you will have a grand time checking out this strawberry ombre style. Your brown hair will look like it has been dipped in strawberries. This can be a contrary to the usual strawberries dipped in chocolates but will still look amazing on you. Sometimes you have been too bored with your hair for a long time that you already feel the need to do something drastic. 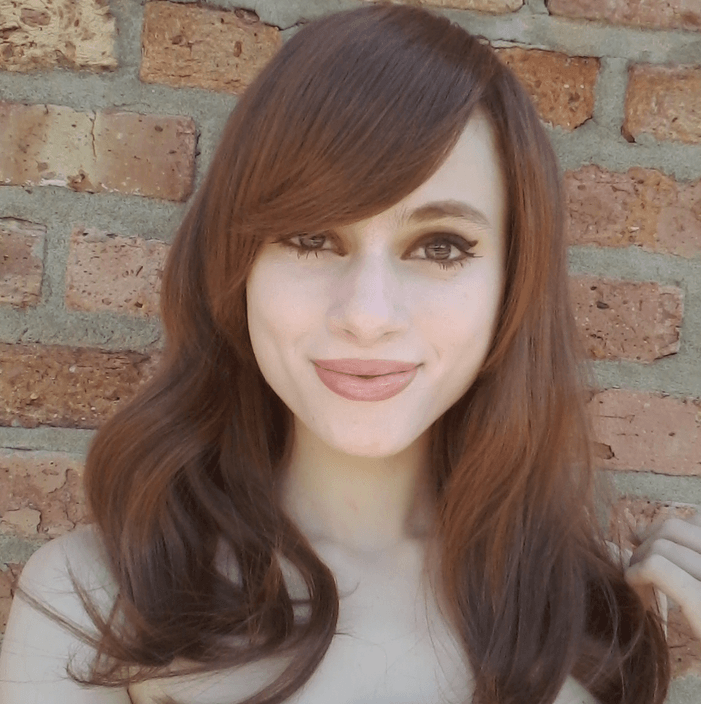 If in case you are having trouble with making a decision about a drastic hairstyle, you may opt to choose a cherry top hairstyle that will look amazing on your brown hair. Based on the name itself, you can already guess that the red portions of your hair will be concentrated more on the top part rather than the bottom part of your hair. 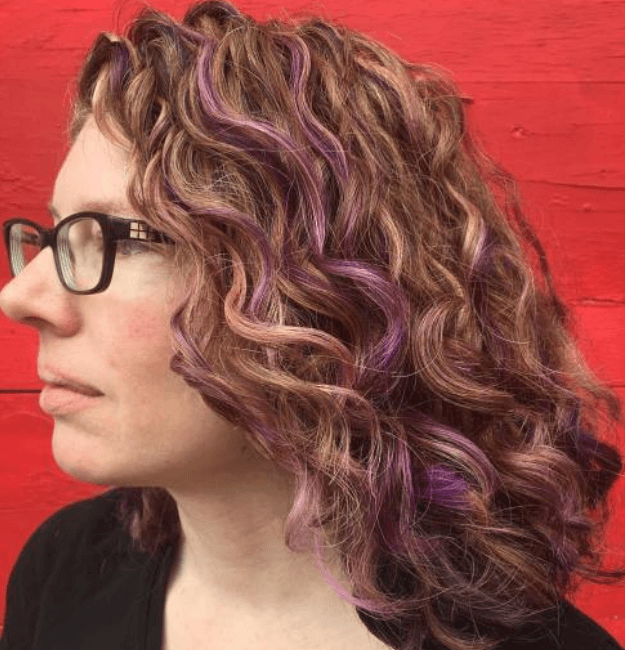 If you want to make it seem like you have drastically changed your hair color but you have only added red highlights, you may choose crimson out of all the hair colors that are available. This is because crimson is such a strong color and it will make it seem like your hair is all red but upon a closer look, people will realize that your hair base is still brown and that your crimson streaks are just making your hair look more special than usual. This can be perfect for you as long as you have fringes with your current hairstyle. 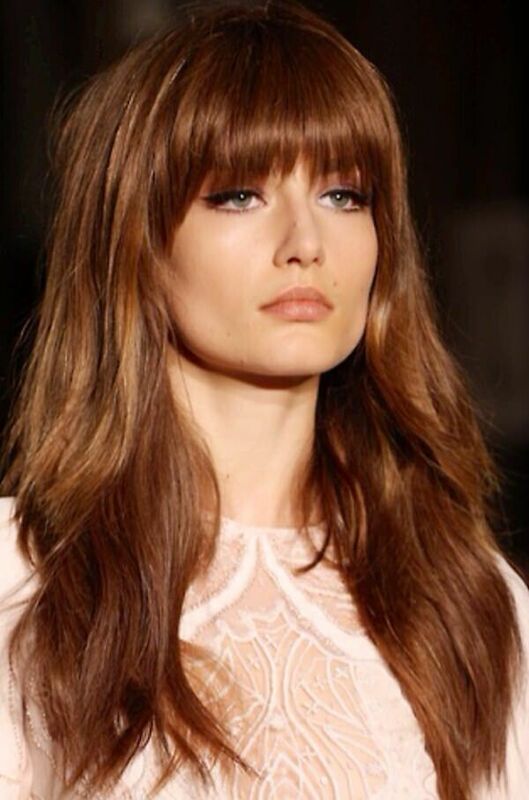 You may want to keep your brown hair but you would like to make your fringes stand out. No need to worry anymore as you can choose a reddish pink color that can fit best with women with cool undertones. The almost pink fringe never fails to stand out. If you do have fringes, remember that thin hair will look best with this type of style. There will be times when you want to have something that will look classy on your hair. 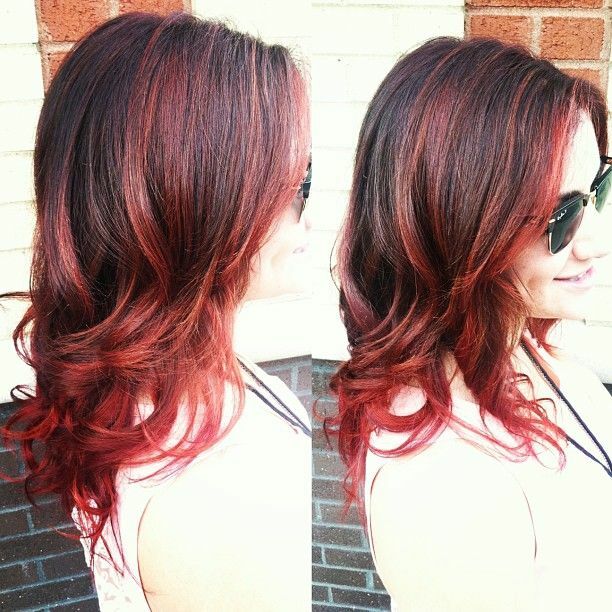 No need to look for other red shades as you can choose ruby red hair color to be placed near the bottom of your hair. Although this may seem similar to the ombre, remember that the ends that will be colored with ruby is slightly lower than the ends that can be colored by having an ombre hairstyle. If you normally have a caramel hair color which means that you have a sort of shiny blonde hairstyle, what you can do instead is make sure that you will have the perfect red highlights that will complement that. Having hair that is way past your shoulders can make the effect more obvious. 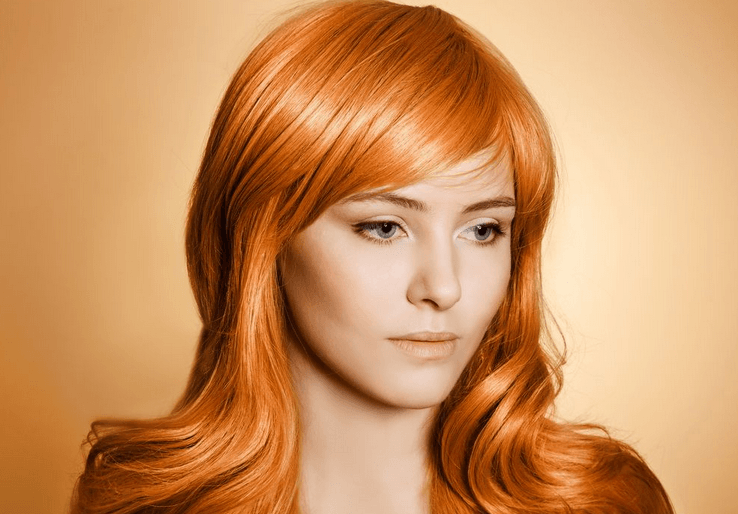 Do you have deep auburn locks? 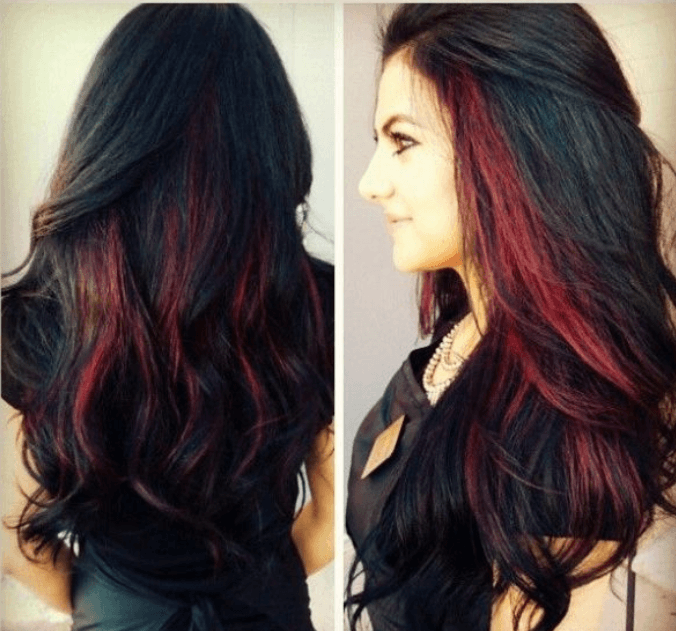 If you do then you would like to make sure that you will push your hairstyle a bit by adding some red highlights but what type of red highlights will look perfect for your hair? Make sure to choose red highlights that may be the closest to auburn. Instead of being systematic with highlights all over your hair, start from the middle part of the hair going to the ends for that subtle effect. While this may be something that you feel you can do on your own, it may be helpful if you would hire a professional to do this for you instead. 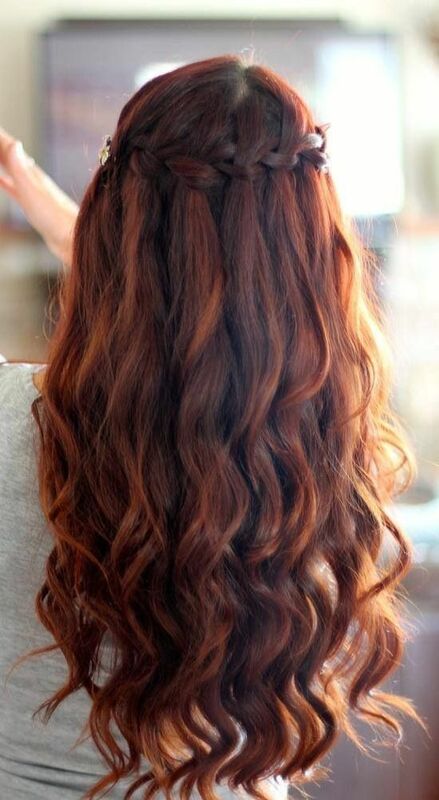 If you have naturally curly hair, you would need to add a bit of red to your hair to make it look even more interesting. No need to worry about going overboard or choosing a type of red that might make you look like a punk. You can simply choose reddish brown highlights that are placed on the strands that will best frame your face for that perfect, overall look. 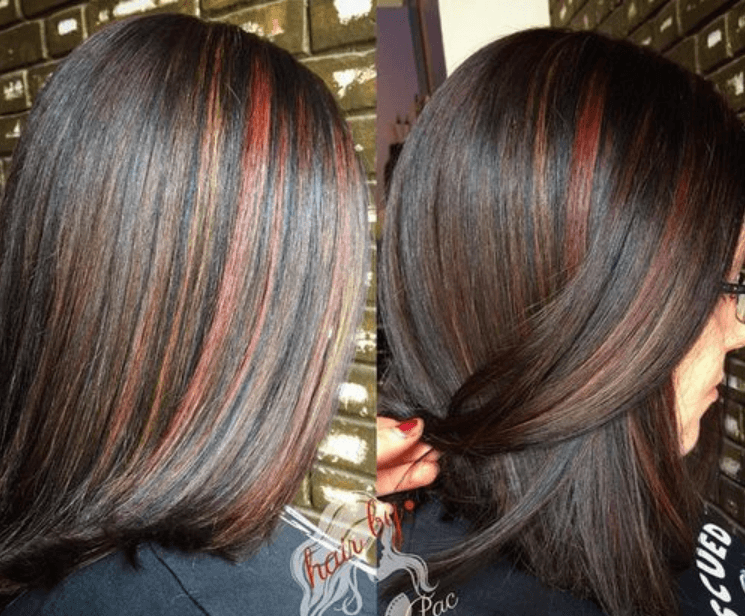 If you would like to have a hairstyle that is not too drastic but will still be obvious you can opt for these hidden red highlights that you can place on your hair. 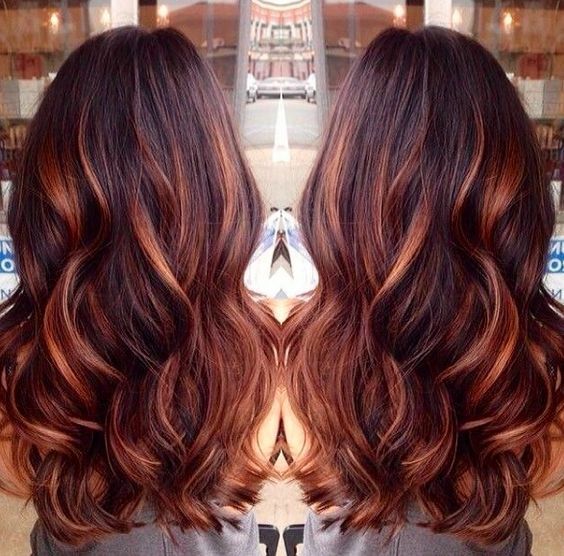 Make sure that you have a warm brown color as base before you place the hidden red highlights all over your hair. You may not even realize how much of a difference the simple change can do to your hair. 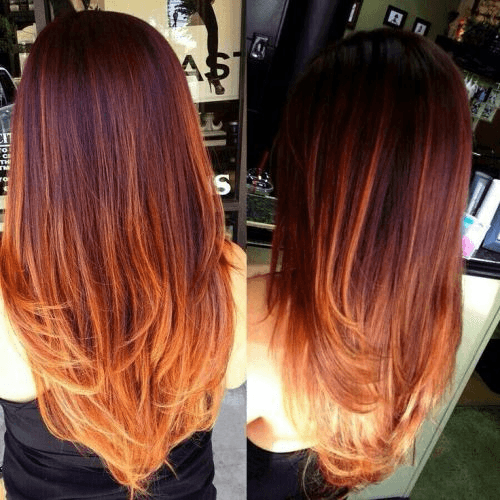 If you would like to have more than one hair color on your hair then you will never go wrong with having a brown base mixed in with a little bit of copper and red. You can be sure that the added colors will add an overall dimension to your hair. If you would curl it, it would look almost unreal. 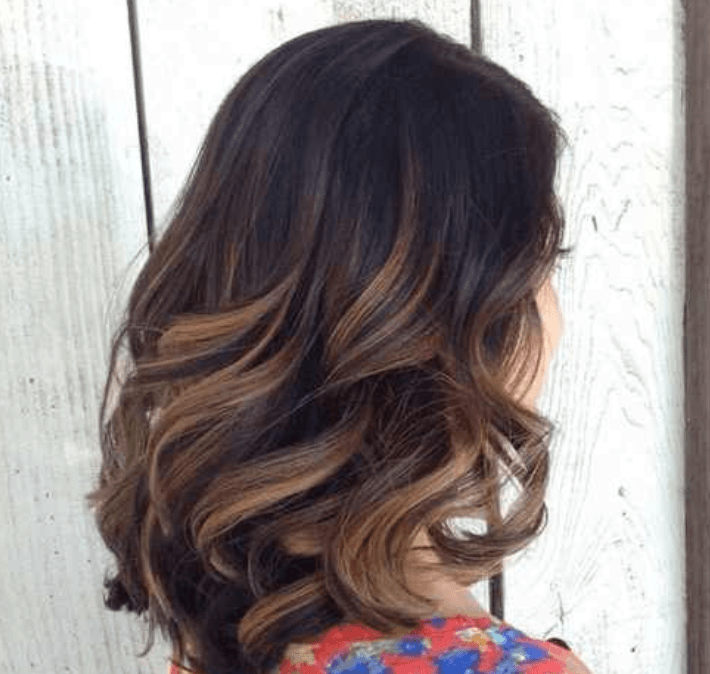 Of course, the highlights would need to be placed by a professional so that the proper hair strands will be colored and highlighted with ease. You may want to do some tweaking when it comes to your current hair style but undergoing a drastic change is not really something that you are looking forward to doing. This face framing highlights will look perfect for women with medium to long hairstyles and if the hair is side parted as some of the brighter highlights may be strategically placed on certain areas of the hair. Since this can frame the face well, you may realize that there is a lesser need to apply makeup because your hair can make you look blooming. Tired of your old and boring hair? You may truly want to have a change or you just want to surprise the people around you. You can be sure that having this hairstyle will never be boring mainly because it can make the hair look dramatic and different. Make sure that the highlights will be placed near the top of the head and that the highlights will be in two different red colors. Do remember that not everyone can pull off this look. You may want to give your hair an easy update that does not require a lot of effort and will not be too much of a big change. You can choose a reddish brown change that is somewhat similar to your own dark brown hair. It is best if the highlights that you are going to place are set near the crown of your head. 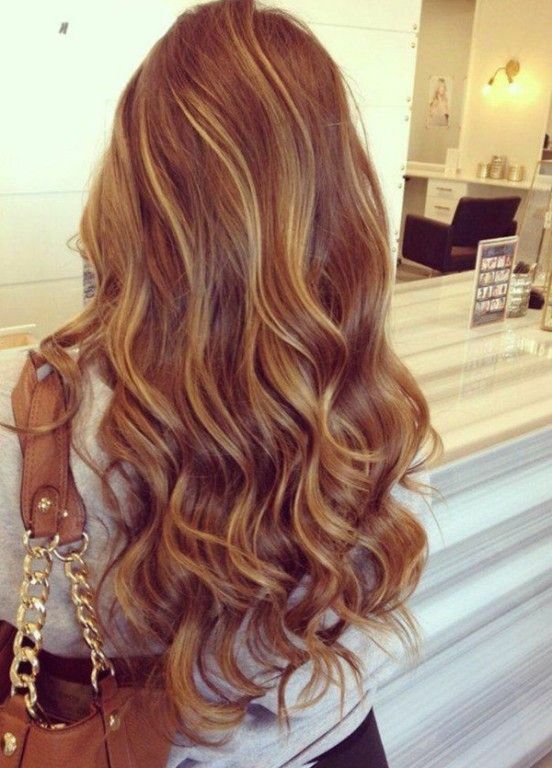 The highlights will then descend up to the bottom portion of your hair to make it look natural. The color of the sun may appear yellow in drawings but further research about the sun will let you know that it has a red hot center. This will be your inspiration in the type of highlights that you are going to place on your hair. This combination will make your hair natural. Your skin tone will also become apparent with this choice of highlights on your hair. This is also the perfect hair for you if you do not want to fuss too much over your hair. 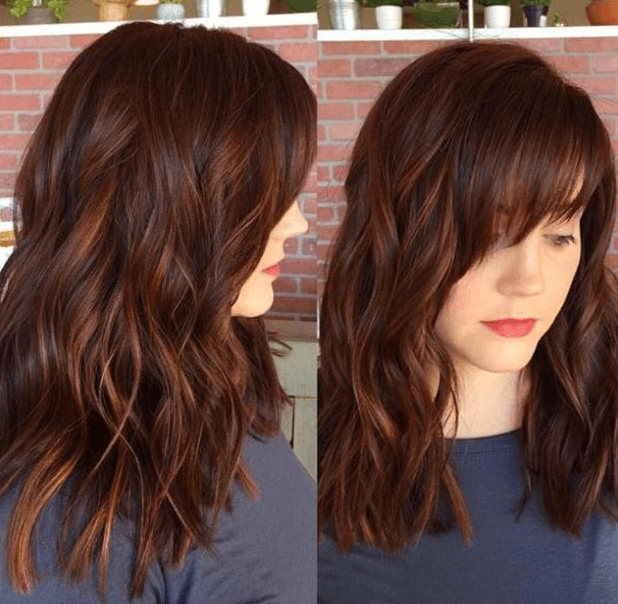 This is the perfect red highlights for your brown hair if you want something that is so subtle that most people will not even notice that they are there until they start to look closely. 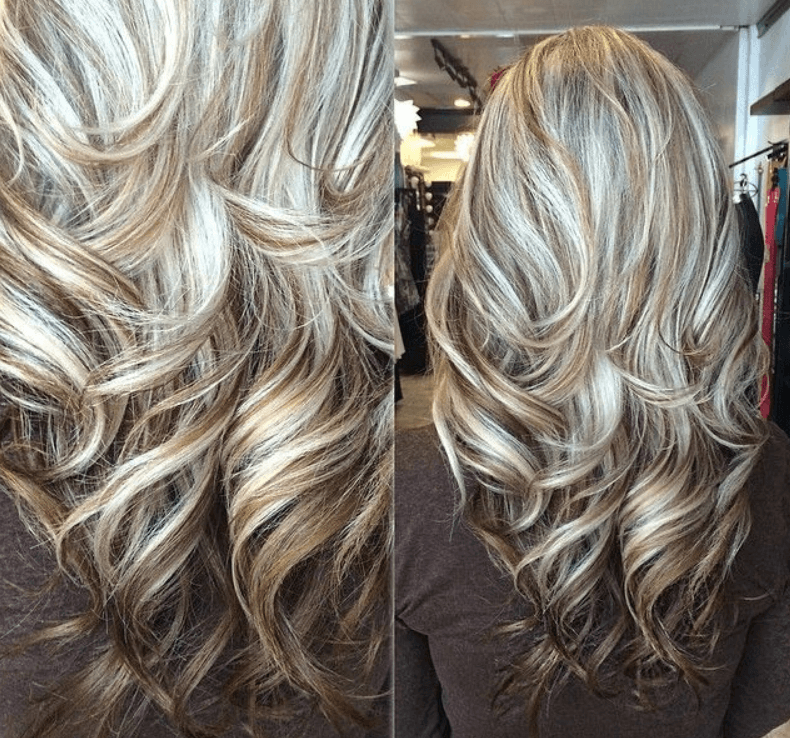 This is the perfect solution for you if you want to have some highlights but you are afraid that it will look over the top. The great thing about this is that it looks effortless and can make anything that you wear immediately look better. You do not need to have white hair in order to have a bit of cool looking gray on your hair. You can add them to your brown hair in highlight form. 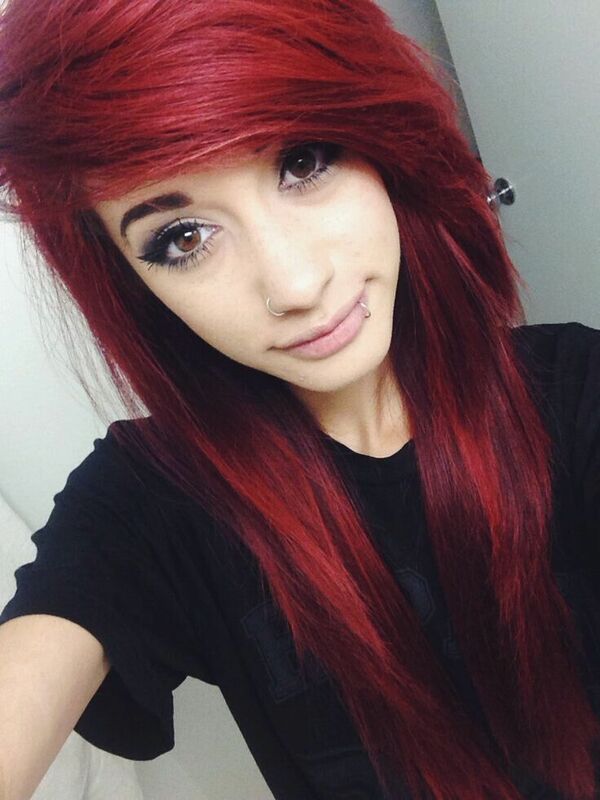 Mix in a bit of red in order to make your hair have three colors. It will be enough to make you look cool because you have to admit that not everyone would be brave enough to have this hair color combination. If you want your hair to appear like they are striped vertically, then this is the best choice for you to have. The portions of your hair that are still brown will complement well with the areas of your hair that are highlighted in red. This will work best if you have chocolate brown hair and the red highlights that you will choose is already bordering on strawberry blonde. The main tip to remember when you are placing highlights on your hair is to make sure that you will place the highlights away from your roots. If you have long, dark brown hair, you can use some bright red highlights to make your hair appear fuller than it actually is. 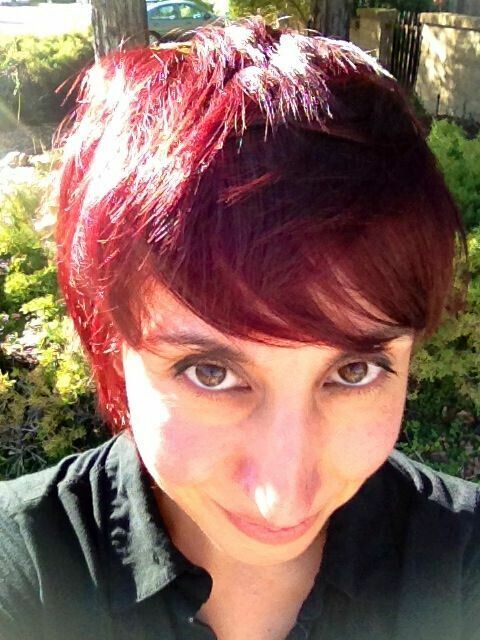 Your dark colored hair plus the bright red hue will make a huge difference. For sure, people will immediately notice your hair. This will work best for you if you have naturally wavy hair. 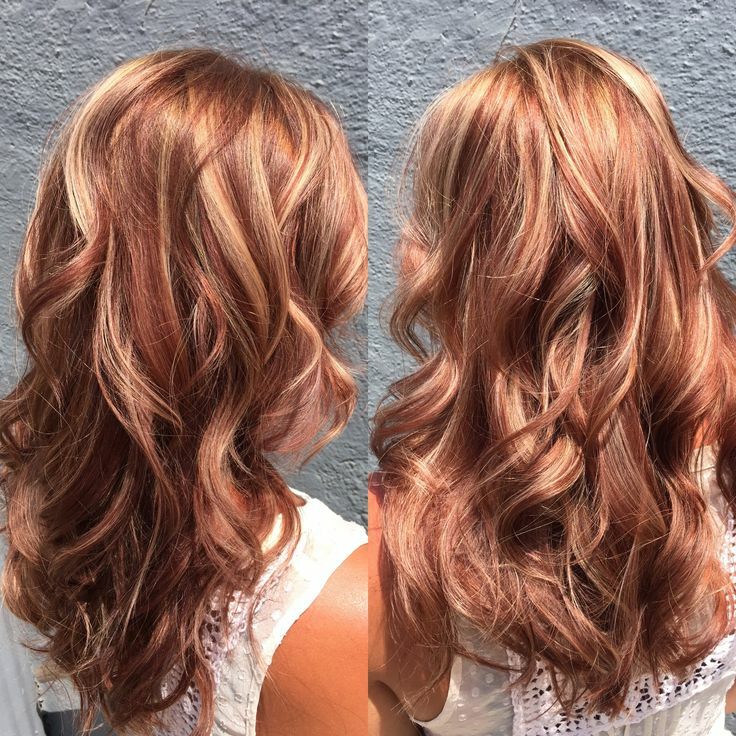 You will appear like you are about to go to the beach each time because of your soft waves highlighted by the coppery red. Of course, this hair is still nice enough to make you ready for a formal event at night. It can change your overall appearance subtly but it will make a huge difference on how you see yourself. 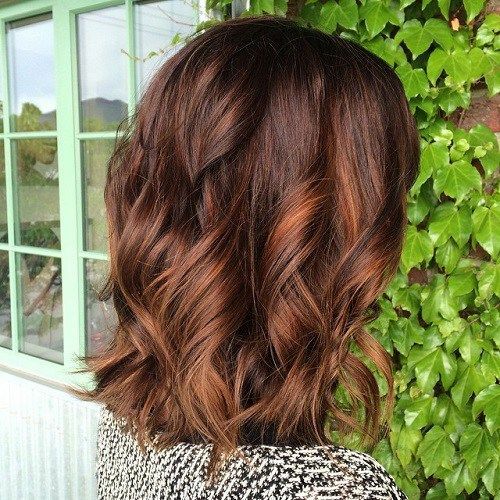 Your dark brown hair may need some color that will make it look cool instead of dull. If you are not too fond of bright red, you may choose something that is still within the same spectrum with a bit of a twist. 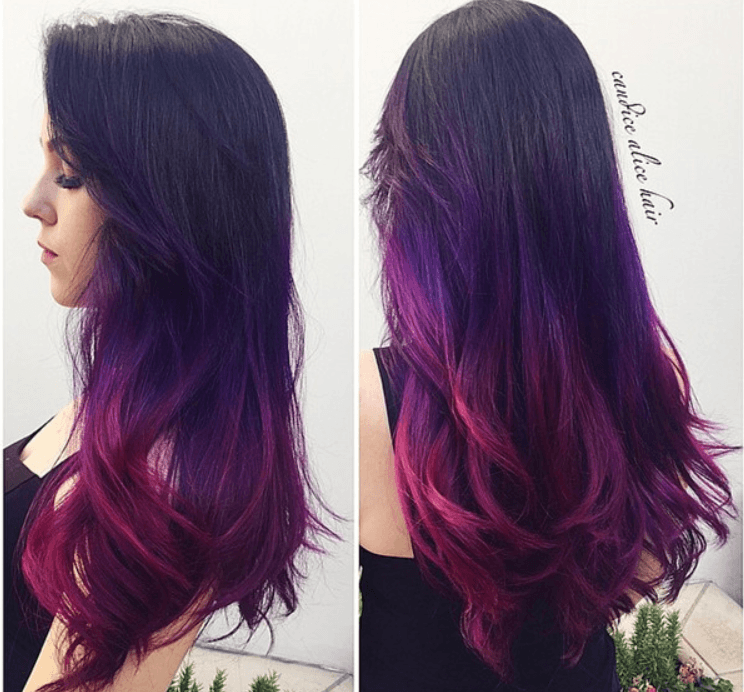 Why not add a bit of purple to your hair? 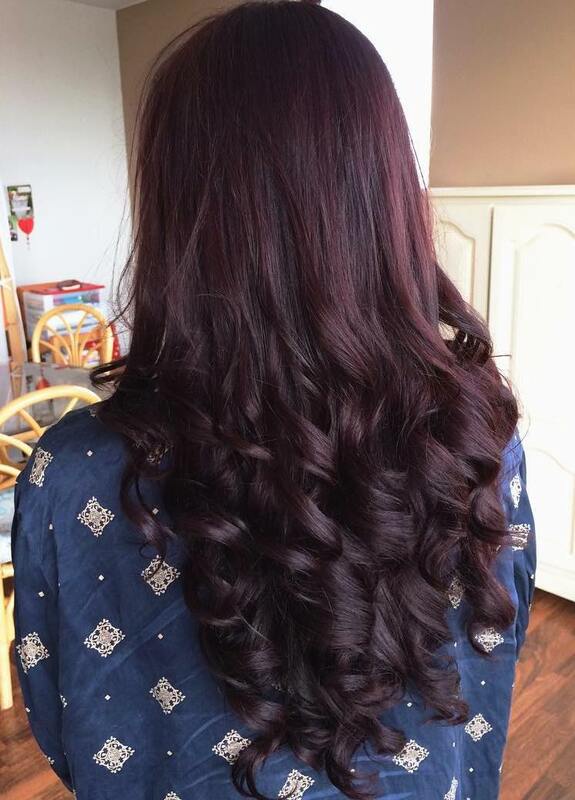 The purple red combination on your dark brown hair will look almost natural. 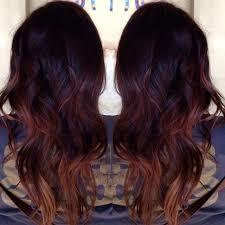 Just make sure that it will be done correctly so that the color fade will not be a big issue. 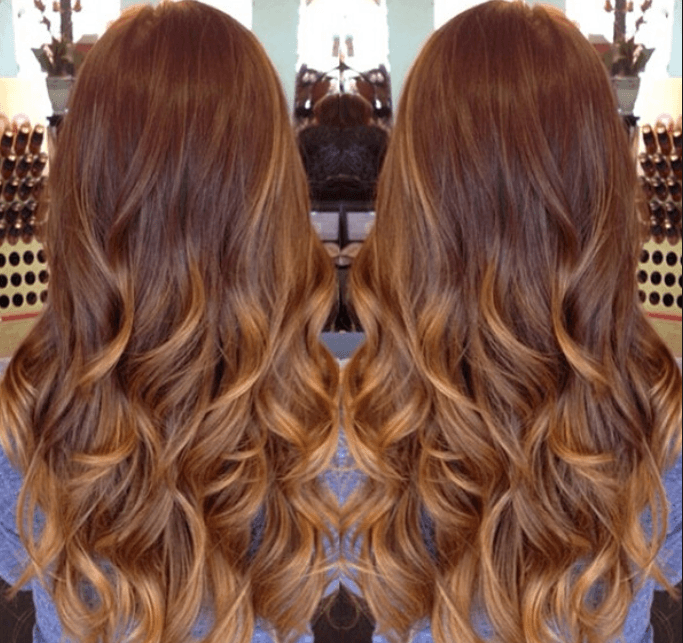 You do not need to have naturally curly hair to have these amazing highlights. This can work great if you have straight hair and you would just curl your hair with large curling barrel. 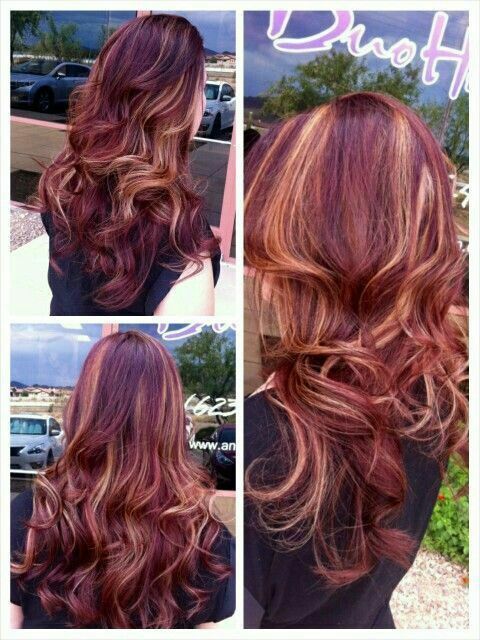 You know for sure that this can work out great as the red highlights are accentuated each time the sun’s rays hit it. If you have frayed hair edges, do not worry, this can improve the appearance of the hair even more. Can you envision those chocolate bars that contain some red filling for a unique taste? This is how your hair would appear to look like. Your two toned hair, both with caramel and chocolate hues will look more promising and definitely interesting with the addition of bright red highlights. This can be the best option for you if you would like your sweet personality to be showcased. Having windswept hair is already enough to make you look very approachable. At times, it may even make you look like a damsel in distress that needs to be saved. It can also make you look nonchalant about everything happening around you. Your windswept hair can tell a lot of stories. 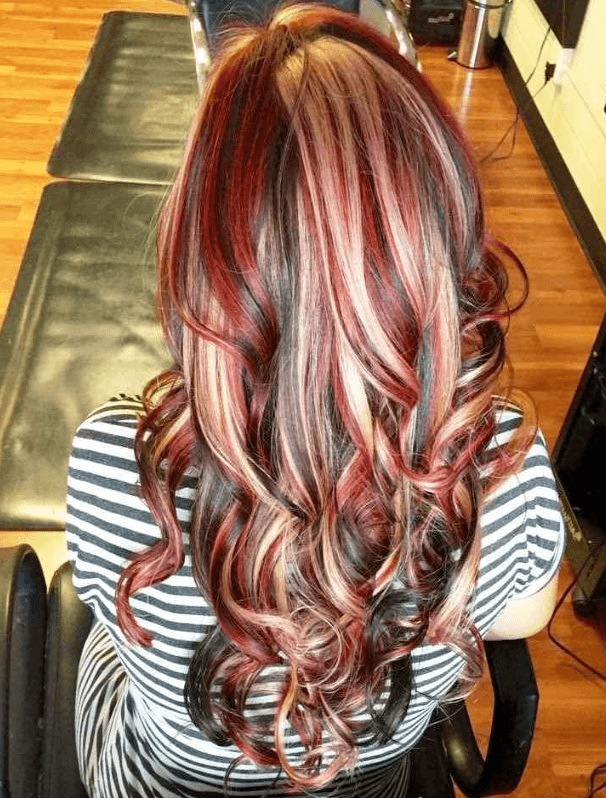 It will be up to you to improve it and make it better by making sure that you have red highlights that will make you look more fashion forward. You may want to change your hair color but still keep a few strands intact by placing a lot of red highlights all over your hair. 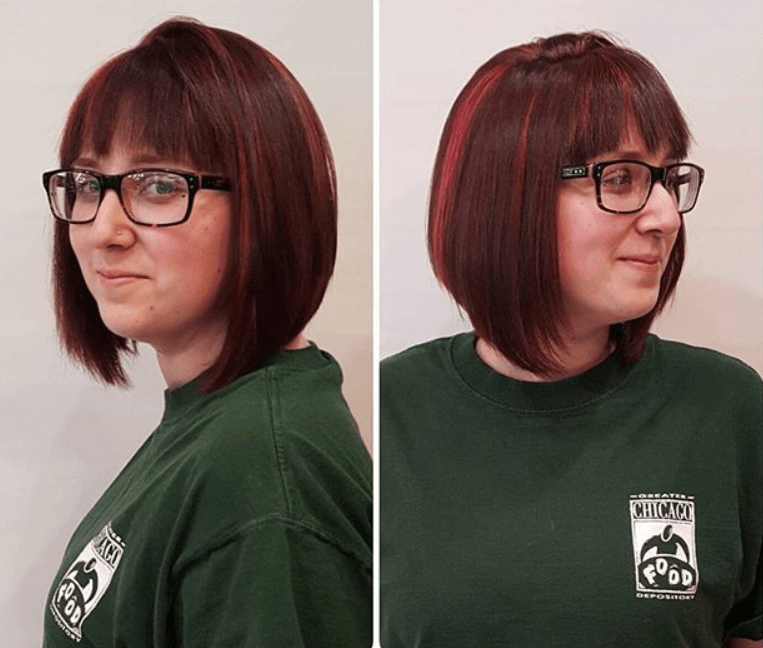 The bright, eye – catching shade of red will be enough to make your change radical enough that people will know immediately that you have changed your hair color. Remember that to carry this look properly, it is best if you can keep your hair shiny and healthy. It will be enough to make your hair stand out, even at night. 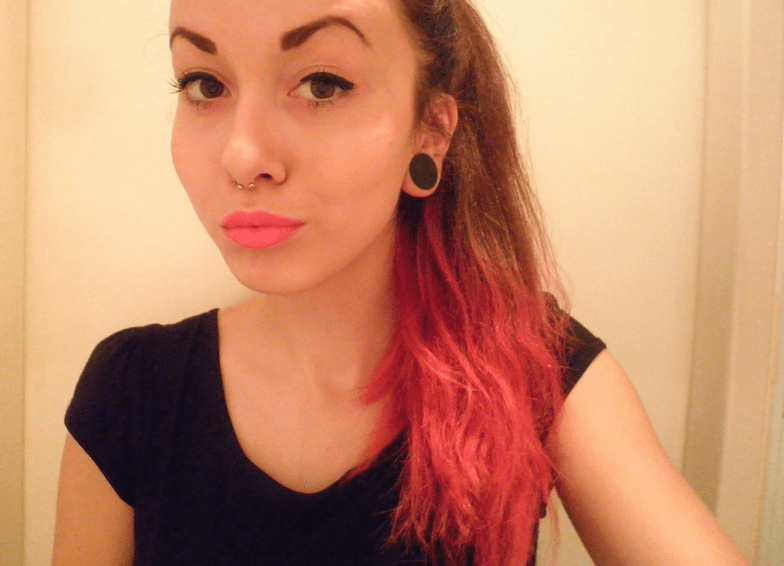 Why stick only with red when you can have more than one color on your hair anyway? It does not matter whether your hair is long or short, you know that you need a lot of color in order to improve your hair’s natural dull and mousy appearance. With the multicolored highlights, you can expect that all eyes will be on you whenever you walk into a room. If you only want highlights that can frame your appearance but you do not want it to appear all over your head, you can opt for front red highlights. You can choose a burgundy or a mahogany shade depending on your skin tone. Just make sure that it is lighter in front than at the back. This can make your eyes appear bigger and brighter and it will not be too weird that you only have highlights in front and not at the back portion of your hair. Do you want to look put together but you do not want to make it seem like you have tried so hard to achieve the hair color that you want? This may be the best hairstyle for you to have. Since these highlights are not too evident, you can have it even if you are working in a strict, professional, business office. You can definitely take this style from day to night. If you have long, brown hair. You do not want to do anything to cut it. You want to make it look different. Who does not want to make some hair changes from time to time, right? The end copper highlights will never fail to look amazing. Just remember that it may take a lot more maintenance than usual but it will be up to you to decide until when it is worth it. From the name itself, you may always assume that highlights always have to be bright and evident but this is not always the case. You can make the highlights of your hair look subdued but it will still be obvious enough to make a nice change with your current hair. 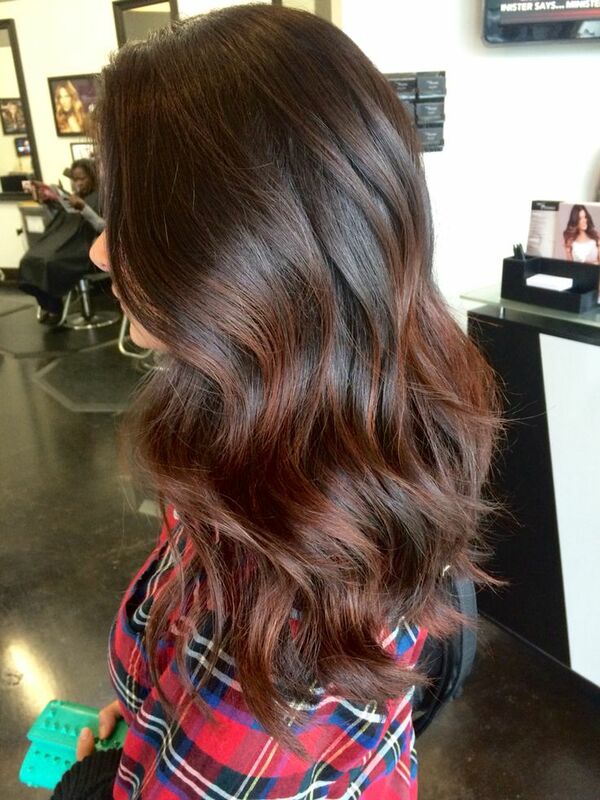 Just pick a red shade that is slightly similar to your natural brown hair color. You may want to have a stacked bob hairstyle but you do not want it to appear matronly. You can do this effectively by choosing the right hair color. 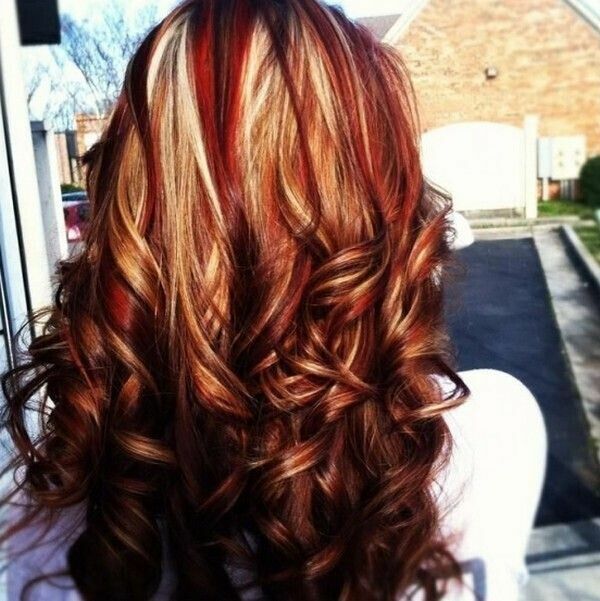 If you want to keep your natural brown hair, just make it look cooler by adding some red highlights. It may be a bit unconventional but you will be happy with the way that it looks. Admittedly, not a lot of brunettes pick pink as one of the colors that they can use to accentuate their brown hair and you may be a bit confused as to why this is on the list. This is because you need to choose a pink shade that is deep enough that it looks almost red. Choose deep rose colored highlights that will not overpower your natural brown shade. This may work best if your natural brown hair is on the lighter side. Changing your hair from brown to red may be something that you consider huge especially if you have never done it before. If you have worn your dark brown hair all your life, you know that right now, you need a change. You can make this change by having chunky red hair that will be your first step into making any transition. 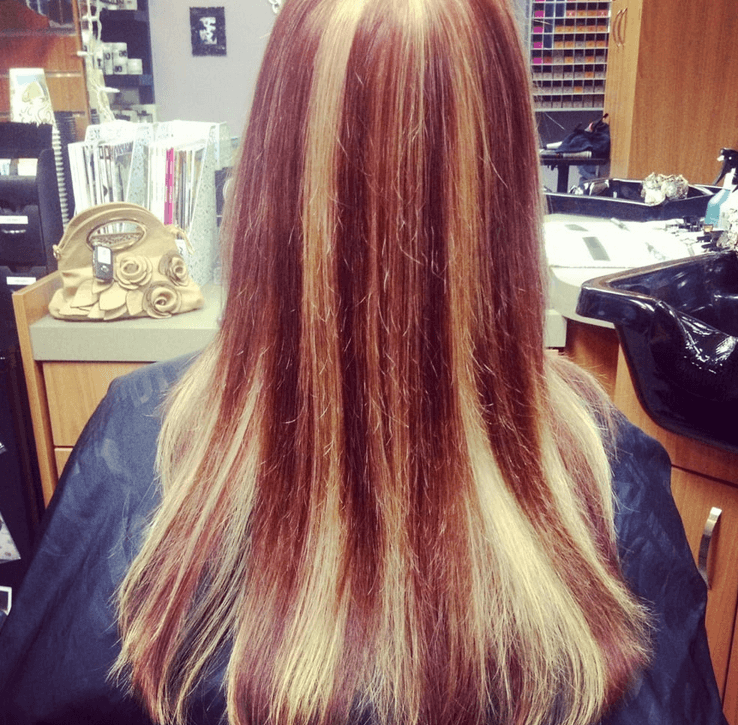 If you are not a fan of having highlights all over, this will be your choice. What you can have instead is a long bob with some red ends. 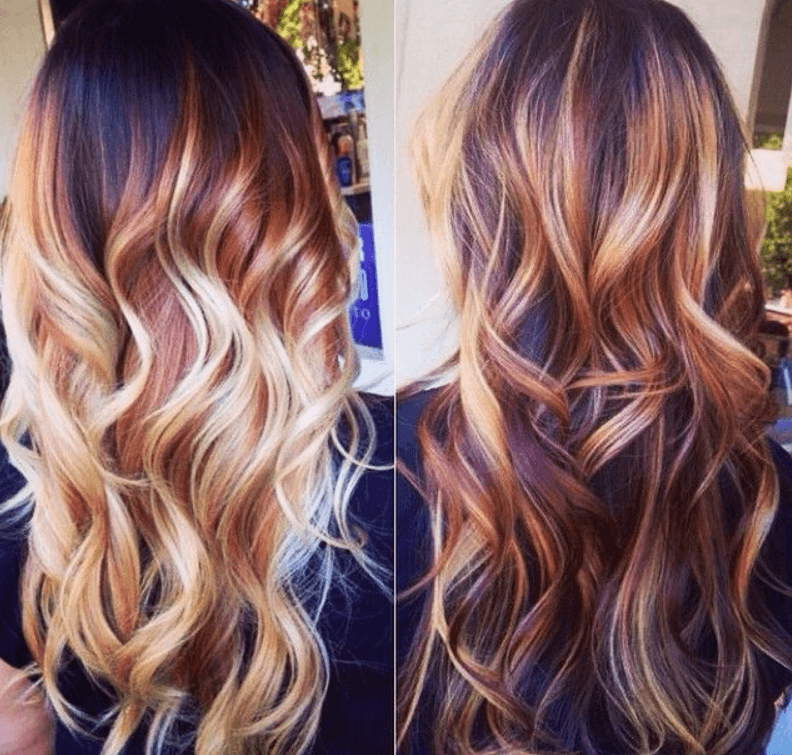 It is already normal for some colors like blonde and offbeat colors like blue or pink to be placed on the bottom portion of your hair like ombre but what if you can just make it subtle and choose a color that is somewhat similar to your natural brown coloring? Choosing red is not something you will regret. The sunset is always beautiful and you would have some people arguing whether sunset or sunrise is better. 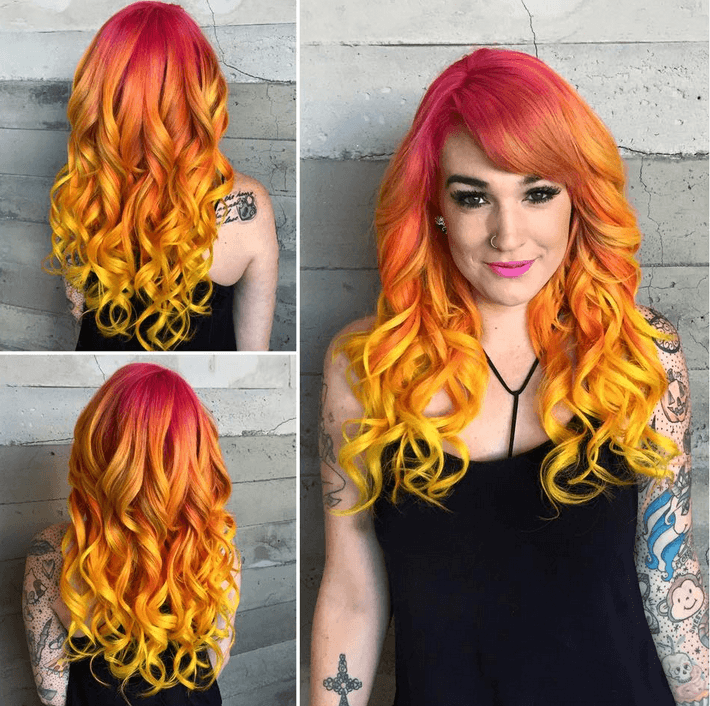 Whether sunset has a deep meaning for you or not, you may be interested in making your hair appear like the colors of the sunset. 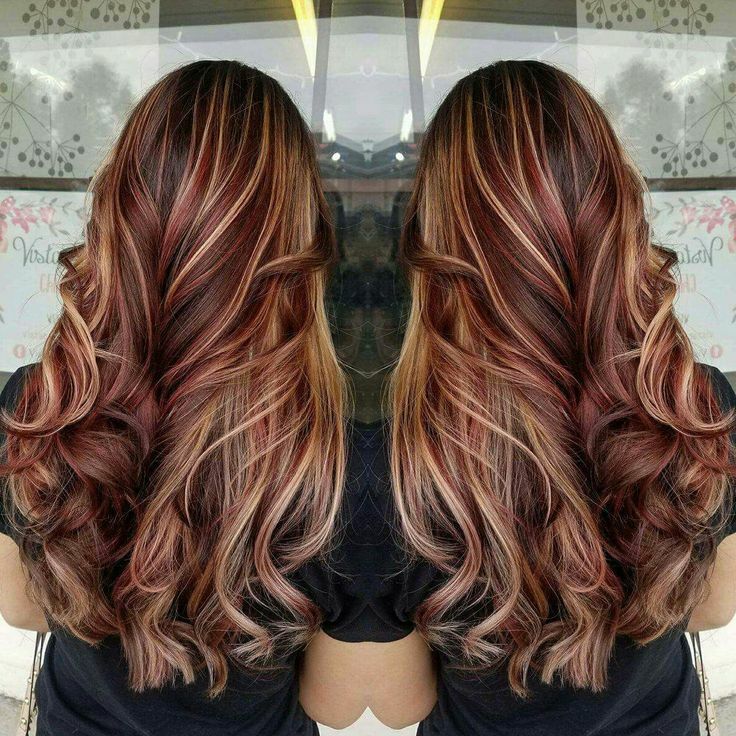 The sunset may have some dark portions and this will translate to your dark brown hair and add some different colored red highlights in order to achieve the type of look that you have always wanted. Your hair may be your crowning glory but you do not want to make some changes to it that are too drastic that you will not recognize yourself whenever you look in the mirror. The key to choosing the right red shade for your hair is to choose colors that will make your hair strands appear deeply saturated. This is a low key hairdo that you can wear to your different events with no issues. You have to be warned though that having highlighted bangs can be a bit tricky. If you have full bangs, do not think about it but if you have long bangs that are moving towards the side of your hair, this will not be a big problem. Remember that your bangs should appear one with the rest of your hair so that they can blend easily. You need to choose red and golden colored highlights if you have blunt cuts. This means that your hair will not have much movement and it can increase the appeal of the color red on your naturally dark brown hair. If you are a bit confused with what you are going to choose, it is best to choose a hair color that is two shades lighter than your natural hair. Who would have thought that there are so many options that are available when choosing red and brown? You can pick the one that will best fit you, your style and your personality. Based on the various brown hair with red highlights styles that you can do, which one do you think is your favorite? There may be some that you want to do to your hair but you are not quite sure yet how it will look on you. Remember that red may fit both warm toned and cool toned people but it would depend on the type of red that will be placed. Usually, brighter red tones are perfect for people with light to medium skin tone while deeper reds are usually perfect for those who have yellow to dark skin tones. 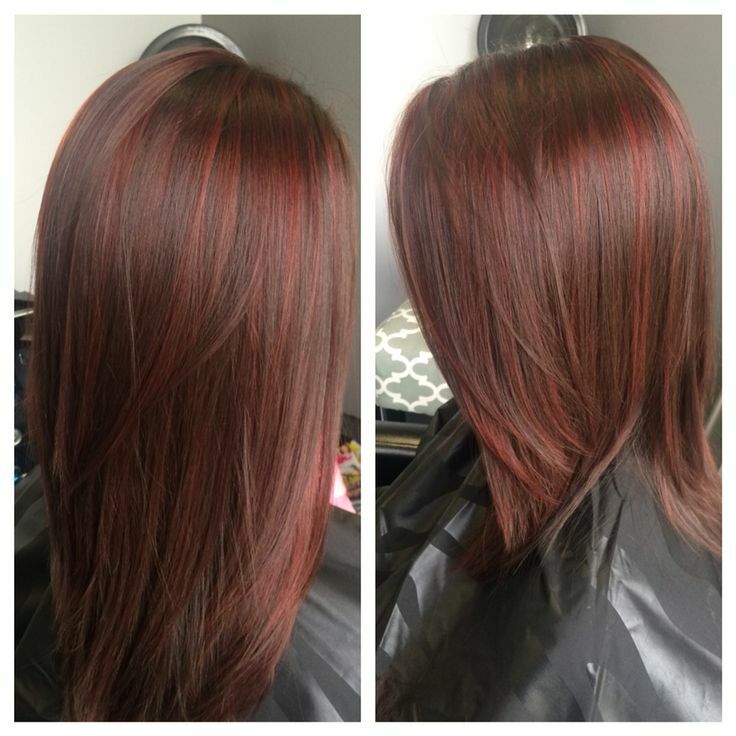 Add flair to your hair with the perfect red highlights.